The River View Bedroom provides views of the McCloud River Arm of Lake Shasta, and overlooks the east deck area. 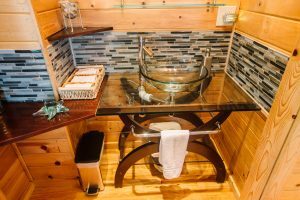 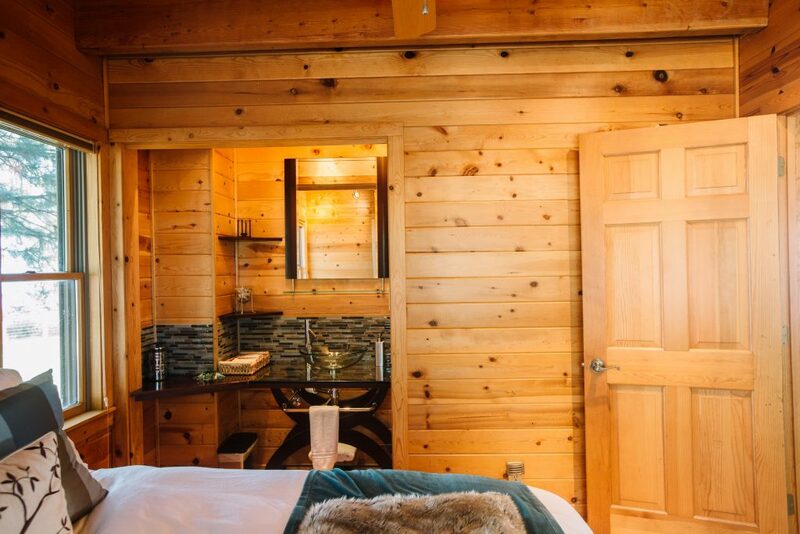 It has its own vanity and sink, queen sized bed, and slate fireplace and long window seat (just right for curling up with a book or enjoying the lake view). 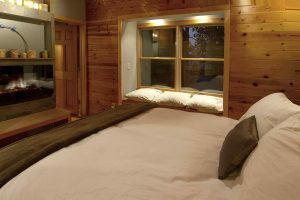 It shares a bathroom with the Aspen View Bedroom.